Author's Note: While it seems like we were just in Bangkukuk, it has been two weeks since we departed and much has happened since our time in the remote Rama village. We are now back in Santa Fe and - most notably for our blog readers - we have had a few days without travel and with steady internet access to complete the final installment from our trip to Nicaragua. Saturday 9/27 Our final morning in Bangkukuk started early with a 5am wake up. There wasn’t much going on yet, aside from a loud and persistent rooster. While we were planning for a 6am departure, sticking to a schedule was a bit more fluid than what we were used to in the US. However, we were in no rush to leave so we enjoyed our extra hour to say our goodbyes and once we boarded the blueEnergy Panga it was a relatively uneventful trip to Bluefields. After a quick stop off in Monkey Point, we arrived around 9am, hitting only one brief rainstorm as we pulled into the docks. These biointensive garden plots are the first for blueEnergy and will serve as demonstration sites at key public locations in the city (the second site is located at the Bluefields Indian and Caribbean University in central Bluefields). 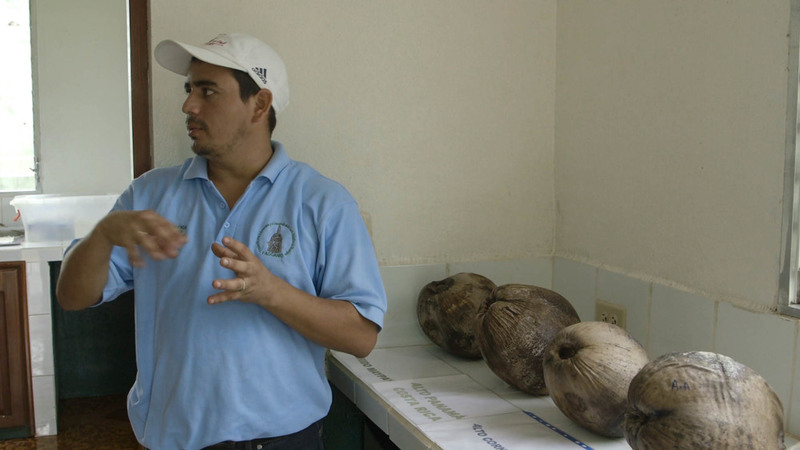 They were also used as the training sites for two bionitensive workshops provided by the Centro de Capacitación, Investigación y Demostración del Método Biointensivo de Cultivo en Nicaragua (CCID en Nicaragua). The gardens are a component of blueEnergy’s newest climate change project, Familia Preparada, which, as a brief side note, Martina and Nuin-Tara collaborated on the early designs for the project as part of a Community Based Adaptation Course through the Center for Sustainable Development. It was very rewarding for our team to know that the project had been funded and to be a part of the initial implementation. The Familia Preparada project is designed to build community capacity and resilience to climate change by responding to the nexus of economic and health issues facing the community, especially for women and children. During a participatory needs assessment conducted this past spring, blueEnergy worked with a group of local women to identify and prioritize the driving conditions of chronic and systemic poverty within Bluefields. The participants prioritized the lack of economic opportunities and malnutrition in children and elders as two key drivers to the current depressed economic condition. The issue of malnutrition was attributed to both the high costs of food and reduced marine resources and agricultural harvests. While declining marine and agricultural production cannot be fully attributed to climate change, local communities have observed a number of changes in local weather conditions that are predicted to worsen as a result of a warming climate. During our short time in Nicaragua we heard many accounts of more extreme and unpredictable weather patters over the last few years – these include periods of more extreme drought, countered by more punctuated and extreme precipitation, resulting in flooding and erosion. To respond to these challenging dynamics, the Familia Preparada project includes an Alternative Income Generation program and a Climate Smart Family Garden and Nutrition Program. Central to the nutrition program are the biointensive gardens. 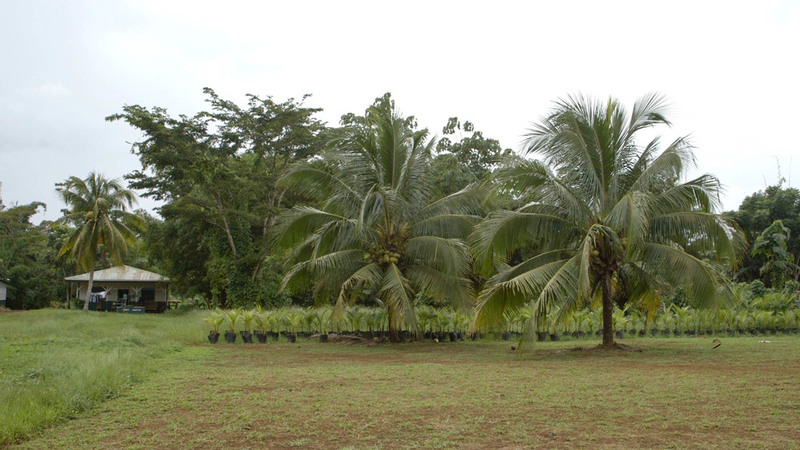 Because the Caribbean coast of Nicaragua is a tropical climate the region is not well suited for conventional temperate agricultural practices. Tropical soils are fragile systems, typically characterized as acidic and nutrient deficient, and require high levels of nutrient cycling (the feedback loop that cycles organic and inorganic material back into the production of living matter) to support the diversity and productivity in tropical forests. Because tropical soils are highly vulnerable to depletion from unsuitable agricultural and land management practices, conventional home gardens are challenging and unsustainable in the region. This environmental context further limits food security in the region and contributes to malnutrition in the community of Bluefields. Given this economic and environmental context, blueEnergy is piloting the biointensive method for their family garden program in an effort to support nutrient rich and affordable local food production. The CCID trainings provided comprehensive knowledge and skills to community partners on how to reclaim depleted soil, or as we heard many times “grow the soil” to support nutritionally balanced crops. Sunday 9/28 Unfortunately, the biointensive beds at Verbo were not finished on Saturday – even with Dan and Tom’s enthusiastic support – so Sunday was a full day of digging, tilling, post hole digging and framing. With a lot of helping hands and a number of breaks under the coconut trees, the beds were finished in time for the start of the first training on Monday morning! Monday 9/29 and Tuesday 9/30 After all of the travel and digging, we took a couple days to write and regroup before diving back into interviews and our upcoming travel to visit Fadcanic and the Wawashang Reserve. Wednesday & Thursday Our last two days in Bluefields were full with interviews and a great tour through the town to see some of blueEnergy’s water and sanitation projects, which are also part of their Climate Change Program, and we made a quick stop by BICU to see some of the biointensive trainings in action. 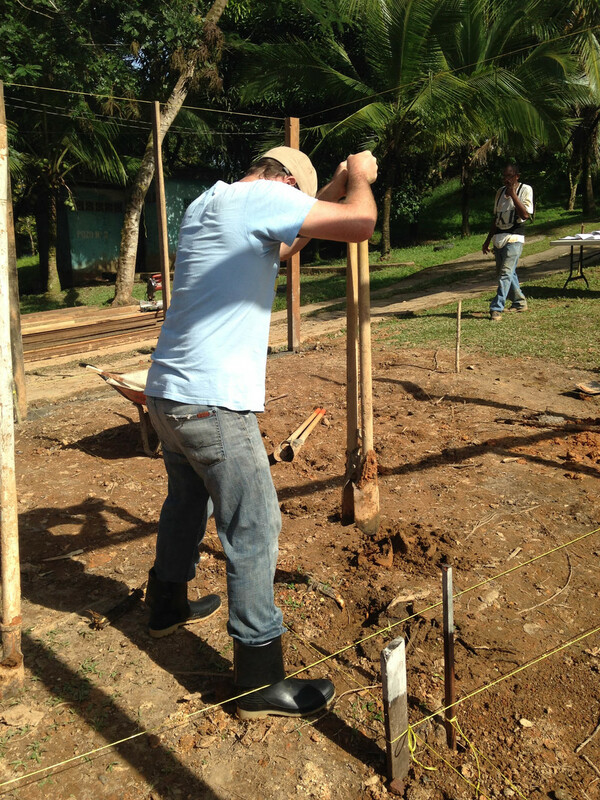 Quick side note: In addition to managing day-to-day operations Guillaume (bE Nicaragua director) was in the field morning till night with the team, sinking poles in concrete and making sure the project came together on time. The team built the structure seen below in just 2 days and got the cover put on and the trenches dug (to protect from rain) the night before the training. Simply put: blueEnergy just does what it takes. It's all about starting something - doing something. They try things out and see if they work, and if things need to change, they change them. It's all a process, and their energy and enthusiasm brings in a lot of people along the way. On Friday, over a great breakfast, and a quick interview with Guillaume, we said goodbye to Martina, Guillaume, and blueEnergy, then boarded a panga bound for Pueblo Nuevo. Two hard and jostling hours later, we were met at the dock by Miguel, our host and guide for our stay at the Khaka Creek reserve lodge, run by Fadcanic. From Pueblo Nuevo, it was a hour’s walk/donkey ride through the potrero, or pasture. According to Miguel, unlike in Bangkukuk – where settlers were illegally occupying indigenous lands - these potreros are managed in agreement with indigenous communities in the area. After 45 minutes of hiking, we could see the forest rising up over the pasture ahead: the beginning of the reforested lands of the reserve. The Wawashang Reserve has over 860,000 acres of rainforest. In the area around the reserve center, Fadcanic has reforested over 74,131 acres. They have strong connections with universities around the world and students and educators come to study and share knowledge and experience around reforestation. 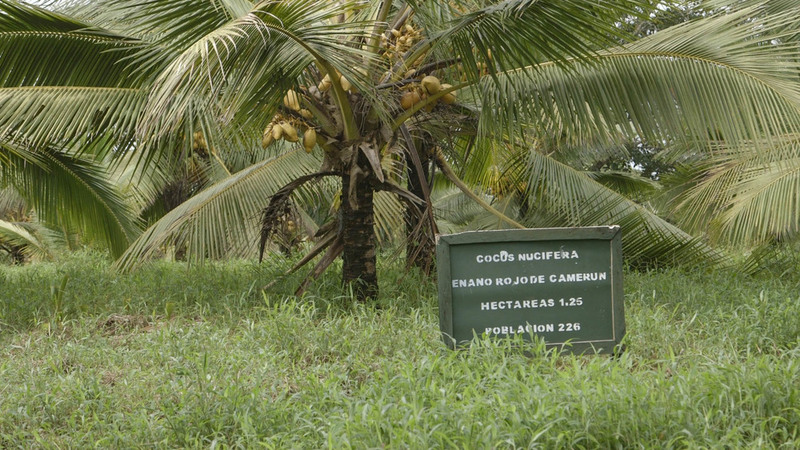 Among their core objectives is the “sustainable and rational use of the region's biodiversity and natural wealth, in order to raise their living conditions to dignified levels as well as to enable them a protagonist role in building a more fruitful future.” The reserve also attracts tourists, and visitors are encouraged to plant their own tree to foster a connection between themselves and the earth. After getting settled in, OPOE was taken on a tour of the surrounding jungle. Along with Miguel, we were joined by Tito, a musician and former soldier – forced into fighting for the Contras in the late 1980s. Under a giant Ebo tree, Tito stood proudly on its roots and sang a song about the Ebo and his love for the forest. (Video coming soon.) At dusk, we headed home for dinner. On Saturday, Dan and I accompanied Miguel and Tito into the bush to meet Batata, a young forest Tapir, one of the few remaining in Nicaragua. She was rescued as a calf in the town of Batata (hence her name) and at 250 pounds, she is half the size she will be when full grown. Ignoring the whistles and calls of Miguel and Tito, Batata finally emerged from the forest at the sound of corn being shaken in her giant bowl. Dan and I stood on a log, overhanging Batata’s dinner area, while she snuffled around and ate contemplatively. 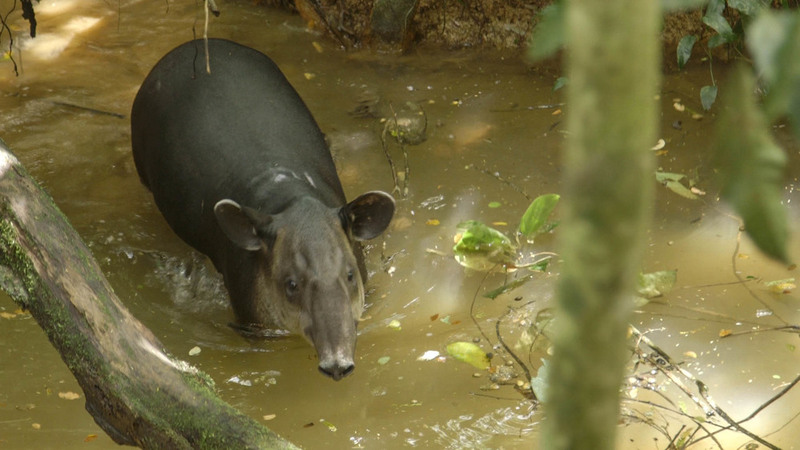 Nicaraguan Tapirs are a threatened species for a number of reasons: first, their 13 month gestation cycle, and the fact that the mothers only bear children every 2 years, makes population sustainability difficult. They are also hunted for their meat and kept as pets in hotels and at houses. Batata’s giant fenced-in area was designed as a reserve where she can be protected and hopefully mated with a male Tapir in the future. Tito and Miguel had no idea what to feed her as a calf, so they would take her for walks through the jungle watching what and how much she ate. After our visit with Batata, we concluded filming with a tour of the new efficient ovens build by blueEnergy (we juxtaposed them with the older, less efficient and more polluting ovens) and the 1kw solar panels, also by blueEnergy. At 9:00AM we mounted up for the hike back to Pueble Nuevo, and onto Fadcanic’s agroforestry center just up the river. Once at the agroforestry center, OPOE got lunch and took a long tour of the facilities, including the coconut research lab and testing grounds, where Fadcanic tests different species of coconuts from around the world and cultivates varieties suitable for survival in Nicaragua; the livestock school, where a recent graduate gave us a tour of the chickens, sheep, and pig pens; and cacao groves, where – like the coconuts – varieties of cacao are studied and cultivated. During our hike, we saw many other varieties of fruits, all farmed with the intention of passing along the seeds and knowledge to farmers in Nicaragua to help combat rising temperatures, heavy rains, longer periods of drought, increased fungus and pests – all factors related to our rapidly changing climate. Also included in the tour was their woodworking school, where students study for five years, and leave with the skills - and a complementary toolbox – prepared and ready for the workforce. By the end of the tour OPOE was exhausted and after a quick dinner, we packed our gear carefully in plastic bags in preparation for our 5AM panga ride back to Pearl Lagoon and on to Rama and Managua. In stark juxtaposition to the rest of our trip, OPOE spent our last day and half in the Managua Best Western, catching up on work in our air-conditioned room and visiting the pool. I couldn't help but think about the Nicaraguans we passed on the bumpy road to Rama: palm oil plantation workers hunkered in tents on the side of muddy fields; old women on the backs of motorbikes, jolting across torn up dirt roads; faces peering out of board shack houses; and the fact that the (relatively) inexpensive luxury I was recuperating in is unobtainable to a majority of the population. I also thought about my discovery of the book, Blood of Brothers, in our room at the beginning of our trip, and my initial question: where is Nicaragua now after so many years of conflict and hardship? We certainly didn't see enough of the country for me to make much of a determination, but we did meet warm, welcoming people, everywhere we went. And witnessed great work being done by a small NGO - blueEnergy - and by community members in Bluefields. And we saw an outpouring of energy, support, and concern, at BICU at the People’s Climate March. These grassroots, local efforts, are helping foster meaningful change well into the future. But in contrast, we also met a small indigenous community, whose culture and way of life will most likely be wiped away by one, swift, top-down decision. Somewhere in the middle there is a balance - but it seems that balance is coming slowly for Nicaragua.